This year we had a very spooky Halloween at the Sulzbacher Center. The center was decorated with spider webs, pumpkins and howling ghosts. 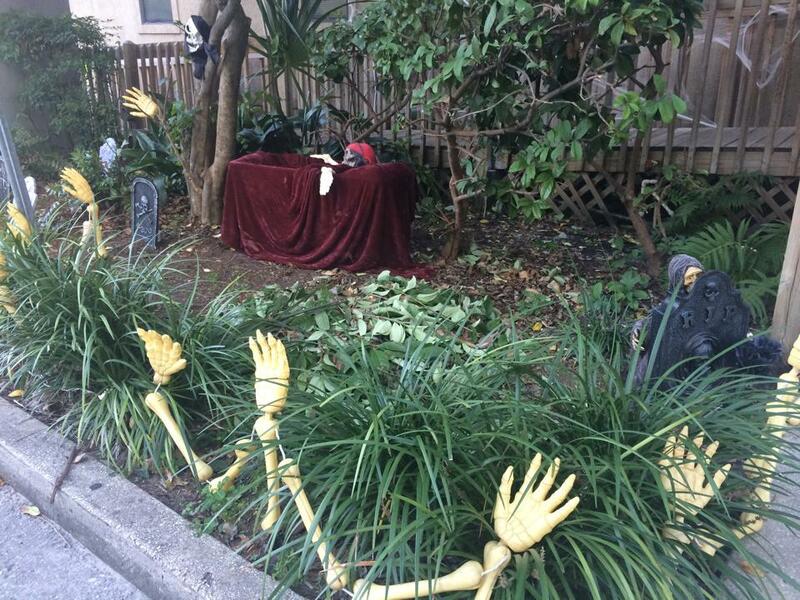 The courtyard was decorated as a graveyard and had a coffin with a skeleton in it. 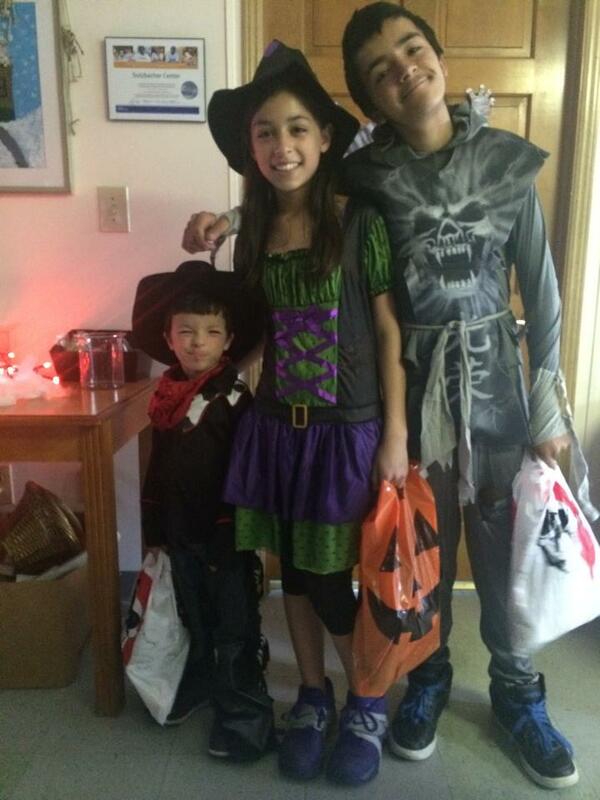 Each kid was given their own pirate or pumpkin trick or treating bag and they got to walk around to each office and pick up candy. This year we had 50 kids who went trick or treating. The best part about Halloween was that the Sulzbacher center created an atmosphere that was free and safe for the kids to enjoy the evening and receive candy. 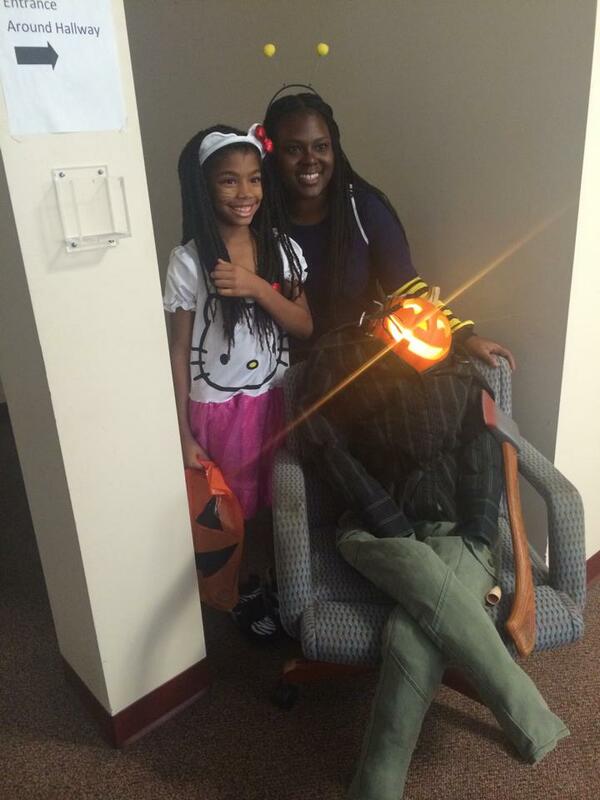 Jacksonville Legal Aid created amazing Halloween bags filled with candy, games and pencils. Thanks to Dignity U Wear every child had the opportunity to have a costume from babies to age 16. 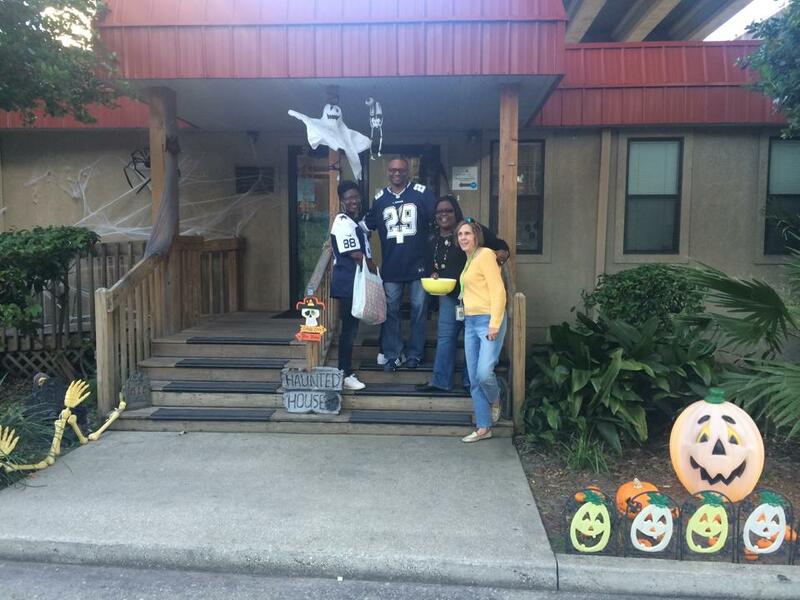 UNF volunteers, the Home Team, and staff all volunteered to make this an unforgettable Halloween. Everyone was really excited to make this a fun night for the kids. We are so thankful for all the donations of candy that we received because all of the children were able to receive tons of candy. Lucy, an 11-year-old girl staying at the shelter, told me she got two full pillowcases full of candy. “It was really fun being in the haunted elevator with Darth Vader. He jumped up and down to make us feel like the elevator was going to fall”, she said. The children and staff had such a great time and we can’t wait to do it again next year.